I post this story about our dog’s gulping seizures in hopes that it will help someone with a dog grappling with a similar health issue. This is the story of how the anti-seizure medicine Zonisamide unexpectedly changed our lives! When I adopted Hines from the Humane Society in Rochester on the day after Christmas in 2011, it seemed like the perfect time to adopt a dog. I had just started my job at Colgate, and I was looking at living all on my lonesome in an enormous house (seriously, three floors, five bedrooms, and four bathrooms all for only me!) for the next six months at a minimum. I took my buddy Billy and my father with me to meet a few dogs, and they helped me select Hines (then “Cupid”) from the crowd. He was friendly, active, around five years old, and as we soon learned he was very good in the car. The first few weeks were somewhat like what I expected: vet visit, he sucked on a leash, we played fetch, he had some stomach issues as he adjusted to his new state of being… in short, I had adopted a dog. It was actually quite a struggle as a single person trying to be solely responsible for another living thing for the first time ever. And then the gulping began, and I really learned what it meant to struggle. It was the middle of the night and Hines was in his crate in my bedroom. We were both sound asleep, when out of the blue Hines started gulping. He would stick his tongue out and swallow. Again. And again. And again. At first, it was a little bit funny. It almost looked like he had a bad taste in his mouth. Then it was infuriating. Loud, wet gulping noises were not conducive to sleep in the middle of the night. But no matter how angry I got, he would not stop. I finally gave up, and slept on the couch. I quickly learned that these bouts of gulping were uncontrollable and had some very serious consequences. And over the next few months, they would get steadily worse. Every gulping episode would cause Hines to bloat, which would make him nauseous. This would make him devour almost anything he thought would settle his stomach: shoelaces, blankets, rugs. When he was able to devour such things, it prolonged the agony as his body tried to vomit up or pass all kinds of materials a dog simply was not meant to consume. Hines would have a bout of gulping like this — lasting up to 48 hours — roughly every two weeks. It was exhausting. I held his head up seemingly for days on end to keep him from eating things. We made innumerable visits to the vet, including a late-night emergency room trip. They prescribed nausea medicine. We bought prescription dog food for sensitive stomachs that smelled horrible, and that Hines only ever ate reluctantly. Hines lost weight, and I lost thousands of dollars. The best I could really do for him was put him in his crate without any bed or blanket (or he’d eat it), until the gulping subsided. But thank goodness for the Internet. After a year of diagnosing and researching gastrointestinal symptoms, my (to-be) mother-in-law found video of another dog doing something similar. And from the comments and some additional digging that included posting to Youtube, Facebook, Reddit, and more, we learned that Hines was likely having “complex partial seizures” (sometimes referred to as “fly-biting,” as one manifestation makes dogs look like they are snapping at flies). Essentially, the muscles controlling swallowing would fire repeatedly, and all the gastrointestinal stuff that resulted was simply a byproduct. The drug Zonisamide changed Hines’s life. Hines now takes this anti-seizure medication twice a day, and instead of dealing with seizures every two weeks, we work through shorter, less-intense bouts twice per year. And let me tell you, life is so much better with a healthy companion than it was with a dog who was… well… sicker than a dog! Update: I wrote an update on Hines’s status on November 24, 2014. All you people should really consider whether these gastrointestinal issues aren’t being caused by pesticide residues in your dogs food. They recently found Roundup in pet food, and I would not be surprised if this is the culprit causing these widespread issues. Perhaps you should all get your dog food tested and then organize a class action lawsuit. Hello, thank you for your post. My german shepherd has been doing similar for the past few weeks however, he doesn’t seem to lick his lips during it. He just gulps excessivly and it lasts for about 10seconds. He’s been doing it every day once or twice, which is more frequent than other owners describe in the comments. Any idea what could it be, what to do? Is it most likely the same thing you’re experiencing even though the symptoms don’t match completely? Thank you! Thank you ffrom sharing Hines’ story and your experiences with his symptoms. Our dog, Molly, looks a lot like Hines. Ever since we adopted her, she has this what I call lip smacking symptom. When I ddescribed it to the vet with her there, he said it’s probably acid reflux & advised to gI’ve be her half a pepcid daily. Seems to help somewhat but if we forget, the symptoms return and sometimes worse. Just tonight, she started having what I noticed as a breathing issue where she was huffing upon exhale constantly with occasional gagging. She did not vomit. She has become a nervous dog over time and also has one front leg that trembles when she sits. I’ll make an appt at a Specialty Animal clinic. Reg vet is good just think this is beyond his scope. Hey, was he burping too? My chihuahua just started doing exactly what it looks like I’m both videos. It happens usually only at night although a little through it the day but he burps as well. It’s been happening for a few days now. First the vet thought it was nausea so I spent $300 on that. Then I thought it was kennel cough because there’s times he coughs like a dry heave and foamy spit comes up. (Not happening so much anymore) but the gagging and head bobbing is really bad. When it happens he also tries to drink a lot of water which seems to just make it worse. I’m hoping this is it because it would be an answer. I just got him two months ago, he’s my first pup and I feel like a horrible mother because I can’t figure out what’s wrong. So was your dog burping at times with this as well?? Also a small amount of gurgling in his stomach too. I usually rub his belly which gets a burp out sometimes but the neck bobbing like in your video gets really severe and he paces around the house trying to lick anything he can. Definitely burping, gurgling, and flatulence involved. As weird/gross as it sounds, we actually used to massage Hines’s gut a bit during his episodes because with all the air he was swallowing, you could see him visibly inflate like a balloon. We would try to help him work it through his system to be more comfortable. My dog has similar episodes, but they have been a year apart and now 6 months apart. It started when he was a puppy. How far apart were Hines’ gulping episodes? At his worst, Hines was having episodes every couple of weeks. Now that Hines is medicated, he has shorter, less intense episodes that are spread out by a year or more in between. Jason we are experiencing this with our boxer boy. Started at 13 weeks old. Gulping, licking the floor, panic, distress, crying to go outside to consume leaves, grass. Stomach gurgling, gas. He would settle for a few moments only to jump off of the sofa to start a gulping “fit” all over again. He gulps faster and more intense then I’ve seen in your video but with the exact same motion. He has panic in his eyes. It’s heartbreaking and exhausting. The entire episode can last from 4 hours to over 24 hours with the reminense of less intense gulping for an additional 5 – 6 days before it completely subsides. They have went from monthly to every 2 weeks to almost weekly. Initial diagnoses – gastroesophageal reflux. We’ve tried pepcid, sulcrate, omeprazole. He’s been on kibble, homecooked and now raw feeding him 4 times a day. No changes. We’ve had xrays, barium xray, ultrasound. He’s being tested for Addisons next week after seeing small adrenal glands on the ultrasound followed by a borderline cortisol level. They want to do a GI panel, test is pancreas, b12 and possible endoscope. They haven’t ruled out neurological or behavioural. As you can see, we are exhausted…we both work full time jobs and having to take time off of work, countless sleepless nights…there feels like there is no light at the end of the tunnel with this. We were even seen at the Atlantic Vet College by internal medicine. Did you find if he drank water it would trigger less intense gulping or if was cleaning himself? It’s like his throat muscles are not making the connection or his throat is swollen or he’s refluxing of some kind. I flip flop from neuro to reflux to allergies. Such a difficult thing to deal with for everyone. I definitely understand the sense of exhaustion and helplessness. We never really were able to connect the onset of an episode to any particular activity or action. In fact, when the episodes first started, Hines tended to wake from a dead sleep in the middle of the night with the gulping. I can’t guarantee your boxer has the same issue, but I definitely recommend inquiring whether trying Zonisamide to treat for the possibility of seizures would be possible. Our vet put Hines on it just to see, since the side effects are generally pretty mild. It may be worth taking a shot on it, and if it doesn’t help you can always stop. I definitely recommend inquiring with your vet. Brandie what was the outcome of your dog? I have gone through the same thing and we are about to put him down and just want to know if there is any last thing I can try. Jason now that you’ve doubled the zonisamide, how is Hines doing now? I saw he had a pretty intense episode. That kills me. My dog has horrible episodes. I’m hoping the meds are keeping this under control. Hello! I have a dog with similar issue. Except mine keeps doing a loud swallow. Just today I rushed her to my vet, she started to vomit blood. This has never happened before, we are waiting to get fluoroscopy done on her, but when we went there last time the machine broke. Anyone having similar issues? My 10 yrs old golden was recently put on thyroid medicine and within the past couple of months I switched him to a grain free diet…he had now started gulping, licking, burping and wanting to eat grass…any ideas? Hi, my dog is gulping too. It has been months… Numerous vet visits as well.. I saw this post now and I got really excited. Didnt have chance to watch all the videos and go through the web site. Did your dog have blackish stools as well?? Hi Evrim, I’m sorry to hear about your dog’s troubles. When Hines was having his episodes he did not have dark stool. The issue definitely did have an impact on his stool in other ways though — diarrhea, etc. My theory is that all the air he swallowed while gulping (and the things he ate to try to deal with the resulting nausea) caused the secondary impact on his bowel movements. When we got the gulping under control, the rest settled out too. I’d definitely recommend checking with your vet to see if your dog has been dealing with similar partial seizures. Our dog is exhibiting the same issues for a few years now. We have gone through the exact same steps- multiple visits to the vet, tons of money spent. I feel as though our bet would be open to the anti – seizure meds but I wonder- you mentioned phenobarbital.. Was the Zonisamide not enough? Just wondering why you added the Phenobarbital. We started with just Zonisamide, and it solved things. Then for a period of time he seemed to be getting worse again, so they added the pheno. After a bit of time we cut the pheno out, and for the past year and a half he has been great on just the Zonisamide. Is there a way I could talk to you? My dog is doing this and I’m so worried. I’d be happy answer any questions you might have if you’d like to post them here. I encourage you to also look through this whole comment thread to see if others may have already answered something you’re wondering about. I prefer to answer the questions here for the possible benefit that the conversation may provide for others who find this page. Our dog had dark stool because there was blood in it due to an ulcer in her stomach because of all the damage caused by constant bloating and ingestion of things. She is still on Pepto and some other stomach soothers in addition to the seizure meds. I found all this so helpful as I’ve been telling the vet it’s hiccups but on recent events I’ve felt under her throat as it seems to come from there and not her diaphragm as vet suggested, she had an X-ray on her stomach when she was spayed she’s 8 months old and was told her stomach was all clear. No more help on what’s wrong except she might grow out of it wait and see, well my pup has started getting them more frequently she does what everyone says can’t settle and needs to eat grass like crazy get angry too. We’ve been awake all night it’s 6.am she’s napping now but I know it will still be there when she wakes, so thanks for the insight I will talk to my vet ASAP. I wish you the best of luck getting things resolved. As I tell many folks who have commented here: ask your vet what there is to lose by trying an anti-seizure medication like Zonisamide. While Phenobarbital can be very harmful and can have significant side effects, Zonisamide seems to be much less harsh. Your pup’s issues do sound very much like Hines’s, so it certainly would seem to be worth investigating. Best of luck to you as you figure it out. If you find any sort of resolution, please do return and update us all! I came across your site after frantically looking online for a reason to my own dog’s attacks. When I took a look at the video of your dog, it is identical to what my Daisy goes through. I will definitely be bringing this up to my vet but I’m scared about how open she will be about prescribing Daisy anti-seizure medication. Have you noticed any significant side effects? I’m sorry for the delay in my response. We did notice some side effects with Phenobarbital. It was definitely impacting Hines’s balance and coordination. It is also known for being harmful to the liver, so they will test any pet annually to check liver function. It made me nervous enough that we actually reduced Hines’s daily dosage by half when we saw his balance issues. That cleared things up for him, and after a few months without incident we got bold enough to quit the Pheno entirely, and he has been fine without it again. He is still on Zonisamide twice daily, and I’ve never noticed him react to that, even when we increased his dosage. 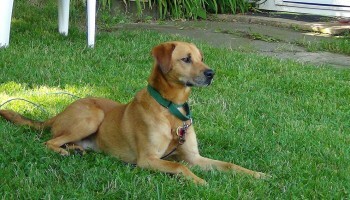 My golden/Irish setter mix Bentley has the same symptoms as Hines. He started his gulping around 1 year old and is now almost 5. Like you we have spent thousands trying to find a cure for this mystery illness. Bentley less than a year ago had surgery on his throat. The vet never seeing anything like this, said Bentley had an elongated soft palate and polyp in his throat. They removed the polyp and shortened his soft palate. After steroid therapy 2 months following we were in the clear. Or so we thought. 8 months was the longest stretch of non gulps. But less than a year of the surgery it has started again. I’m frustrated and feel completely helpless. I’m afraid our Doctor won’t prescribe a drug for seizures because his MRI came back with no issues. Did Hines have an MRI showing seizures before being prescribed zonisamide? Hines did not have an MRI. We were on the verge of taking him to Cornell Veterinary for a full workup when we found seizures as a possible diagnosis. The doctor thankfully prescribed Zonisamide as a pretty low-risk treatment that would significantly less expensive to try than to go through the full neurological workup first. We’ve stuck with Zonisamide because he hasn’t really had any issues since he started on the meds — but we’ve never had any medical test returned that actually confirmed that seizures are the issue! Mackenzie, MRI’s usually do not show seizures and that is normal. That is what our neurologist told us and sure enough the EEG showed seizure activity but the MRI was normal. An EEG needs to be performed. My dog has this same gulping stuff and seems to be controlled with phenobarbital and Zonisamide. Your vet may prescribe one at a time, sometimes they add them together. However it is good to have blood tests done every 6 months because Phenobarbital can cause liver failure over time. Bentley is a golden retriever isnt it?? Did you check thyroid levels? Maybe steroid therapy held an underlying inflammation. Im pretty sure thats an autoinmune disease of some part of digestive tract (IBD), if you dont perform an exploratory surgery is impossible to dismiss this option. Yes Bentley is a golden retriever the vets never checked his thyroid or suspected it. I will bring it up to the vet next time we go. He’s having another episode and they are becoming more frequent again. After his throat surgery the steroids were prescribed to help reduce inflammation and they kept him on for two months. He didn’t have an episode for 8 months since his surgery. We thought we were in the clear but they started again last September. We’re at a loss of where to go from here. We can’t afford more testing. I’ll also ask about anti seizure medication. If Hines has an auto immune disease also how does anti seizure medication help with a digestive auto immune disease? I would suggest you bring this article, and all of the comments, to your vet. There’s also a JAVMA article about “gulping dogs” that I can try to send to you (don’t know how that works over the Internet). We couldn’t get any definitive diagnoses but after more than $10,000 worth of vet visits and emergency surgeries, an ER vet we’d never met before suggested the possibility of a neurological problem. Our vet took a look at the evidence we brought, and agreed we should try anti-seizure meds. It’s worth a try! Or what about pesticide poisoning? I heard they have found Roundup in pet food. Could this be causing all of these gastrointestinal issues? I wouldn’t be surprised. Maybe a class action lawsuit is in order. Thanks for posting this. My dog had a similar incident last night for the first time. She was very panicked and kept jumping on me as if to say “help”! I took her to the emergency vet but of course by the time we got there it had settled down to only mild licking of the lips. They prescribed her anti nausea medicine and dismissed my concern that it was a seizure. Did you dog drool excessively with these episodes? My dog never drools and it got to the point where I was using a tissue to blot the drool dripping out the side of her mouth. If this happens again I am glad I found your site to show the vet. Thanks again! Sorry to hear about your pup’s troubles. Hines did not experience drooling during his episodes, but that doesn’t necessarily mean it couldn’t happen. I’m no vet, but I would definitely advise that you share our story as a possible diagnosis. I experienced — and have heard from others who have experienced — a great many vets who off-hand dismiss the issue as indigestion, nausea, etc., without making even a marginal effort to look past the obvious. My hope in posting our story was to save folks like yourself the arduous task of trying to convince the doctors out there that the problem is more serious than they see in their 5 minutes with the dog! Yes – our dog (with this same issue) drools excessively during her episodes! First off, thanks for this. Finding your article is the first time I have found anyone with an idea of what is going on. I have an appoint to see the vet in two days, so I will bring a copy of your post with me. How is Hines doing now? Any update? How are the meds working? How are the side effects? Sorry for the delayed response. Hines is doing well — we’re all but stable with Zonisamide at this point! Have you found any relief after speaking with the vet? I’m so glad I found your post Jason. I am currently up with my 8 year old Corgi X that is having another episode of the gulps. Her last episode was late last year; doesn’t seem to be as frequent as Hines had before treatment, but symptoms are the same – anxiety, licking the floor and eating the shag rug that was once in my living room (and then of course vomiting up a what could have been constructed into a new rug) I learned from the last episode to take her out for some grass (it’s all she wants and, for a 17lb dog, nearly drags me out the door) and have provided comfort for her. I will have to call her vet tomorrow and see if this seizure disorder is a possibility with how infrequent these episodes are. It’s definitely comforting to hear other share their stories and know that I am not alone. By the end of writing this post she tucked herself into a pile of her blankets in the closet and is snoring. Hoping what’s left of the night is restful for the both of us. Jason: This sounds exactly like what my recently adopted, 5 year old Golden Retriever, Wally has. Your video is exactly what Wally goes through. Are you still using Zonisamide on Hines and does it continue to work? After doing some research on the topic, it doesn’t sound like having all kinds of tests run will do any good. He has been checked out by my vet and is physically fine. I would love to know more about how long Hines has been on Zonisamide and if he is still on it, and how he is doing currently. Thank you! Sorry to hear that Wally is grappling with these issues as well. Hines was on his originally prescribed dosage of Zonisamide for about a year. During that time he had only one or two minor episodes — lasting a matter of an hour or two, rather than days. We’ve since stabilized him again with double his dosage of Zonisamide and a very low level of phenobarbital. With the latter, we are trying to stay as low dosage as possible because it can have some very serious and nasty side effects. My 2 year old collie has been doing this for 24 hours. No problems previous. We took him to the vets and he already has lots of air in his tummy, but that’s all we could understand since we are living in Germany and don’t spak German. I’ve been scouring the Internet and all answers were pointing to bloat, until I found your video. He is doing the exact same thing as your dog. And ate a tonne of grass, which he never does. Have been so worried! It’s 1am and I’m sitting up with him, refusing to sleep in case something happens to him. A dog over the road died out of the blue recently and some idiot has put out loads of rat poison around where we live, so have really been panicking. My dog is truly part of the family and deepl loved. Thank you for writing this peice and uploading the video. Watching your dogs video is like watching my own dog. It appears that the licking is not voluntary. Its like their throat is having spasms and they can’t control it. I”m so glad to see someone else with the same problem. I have been scouring the internet. I’m so glad I found you! i too have s dog with the ‘gulpies’. Chester always seems to have his episodes in the middle of the night. I moved him off the high protein food and spaced his meals to add a smsll bedtime meal with a Pepcid. He has done well with that but will still vomit acid if not fed on schedule. I ran out of food but had some of the grain free and he has been very licky and burpy. Poor pups. Best of luck to all owners since it can be very trying. Havent had an episode in a while but constantly watch for that head down panicky movements that he exhibits as they come on. Cat grass at the local pet store , cut a quarter size or so and feed it to your petwhen symptoms arise. It really makes the symptoms go away in 15 minutes. Now the episodes are getting futher apart. At lease it’s working for my Penny, a 5 month black mouth cur from the humane society . Thank-you for the suggestion, I can’t remember where I saw it. I hope this helps others out there. Hello. My 2.5 year old goldendoodle was doing this last night. He’s had one other “spell” like this before 2 years ago and in between we really just notice that he licks himself a lot (which I’ve always attributed to allergies). To get more of the full story here, he also has a chicken intolerance and we are constantly on the hunt for better foods for his pooping issues. Anyhow, when he had an episode like this 2 years ago it did not last nearly as long as the one last night did. He was frantic and anxious, pacing all over the apartment. He eventually threw up twice. Once last night – which was pretty much all his dinner. The second time was this morning (I got him to calm down and go to sleep after about 2 hours last night). This morning’s vomit had very little buildup and resulted in some bile and a big hairball. This whole scenario is almost identical to two years ago (short of the duration of the episode) so I’m still skeptical of the source being seizures – but wanted to see your opinion as the video of your dog doing this is the first I’ve seen of another dog having these “throat spasms”. Last time we took him to the vet and he was diagnosed with trachiitis? and an ear infection. And as I stated before, he had no symptoms after that episode. He was fine this morning after hacking up that hair ball but after taking him outside again midday he started up again. I also noticed that I can elicit a “spasm” with slight pressure on his throat/when he would pull on the leash he would start up. I can also very quickly get him to stop if I snuggle him on the couch. What are you thoughts? I wish I could be more helpful, but I honestly have no veterinary insights, other than the ability to share my own experience with what Hines went through. All of the things you describe about this singular incident within the past couple of days sound just like Hines’s episodes. 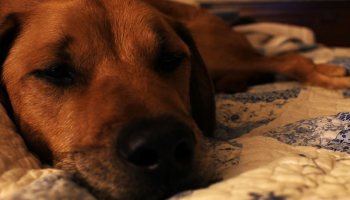 He almost always vomits, often more than once, during an episode (we think swallowing so much air makes him nauseous). Finding hair the second time your dog vomited is familiar as well — Hines usually tries to settle his stomach with anything from grass, to shoelaces, to hair when he is having an episode. That said, the episodes we dealt with were much closer together than the ones you’ve experienced. Even on medication, Hines has a couple per year. That’s not to say your dog isn’t having a seizure — perhaps his are just naturally farther between? Before we had the seizure diagnosis, our vet had us trying a few different things, including Prilosec and Gas-X during episodes. Perhaps you could talk to your vet about trying something like that? Best of luck as you search for answers. If you ever find any, please do return and share more about your experience for the benefit of others! Tufts neurology team diagnosed my dog with Complex Partial Seizure. Anti anxiety meds and seizure meds have it completely under control. Good luck with your pup! A quick update on our dog Emmett: He did well for a while on the initial dose of zonisamide, 150mg 2x a day at 60lbs, but after growing to about 70lbs, had a series of episodes shortly afterwards. We’ve increase to 300mg 2x a day and he’s been doing well for a few weeks. The zonisamide does seem to reduce the severity and length of the episodes, but we are still trying to determine if they alter the frequency. We’ll keep our fingers crossed that finding the right dosage will settle things out. If not, and you find another remedy that works better, please do let us know so other folks can see other options! Best of luck to you and Emmett. Our dog has only had one episode of this “gulping” a few days ago- followed by frantically eating grass. 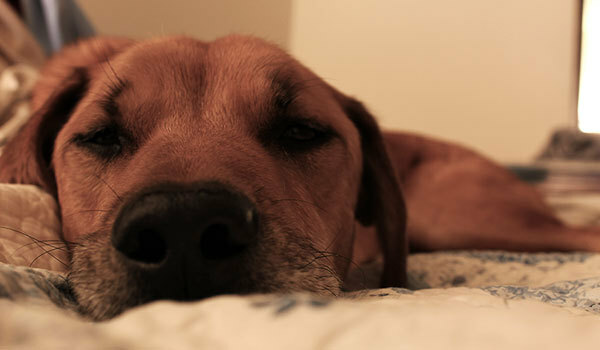 We took him to the emergency vet and they gave him an injection of Benadryl, several anti-nausea medications and fluid. We were told to put him on a “bland” diet- chicken and white rice. They said it could be “a million things”. Now we have a dog a few days later with a very upset stomach- diarrhea. We just noticed a tiny bit of blood as well. We are going to take him to the vet, but wanted to know if anyone else had this same chain of events. I know these are vague symptoms and I expect the vet to tell us he needs more tests. Thanks for any info! It certainly sounds familiar, including the vet response. If this is the first episode your dog has experienced, it is absolutely true that it could be a million things. But I would share this post with your vet as a possibility. From personal experience and the feedback I’ve seen in this comments section, this neurological problem is almost always mis-diagnosed as a gastro-intestinal or allergy issue for months, if not years. Your dog’s problem very well may be one of those things, but keep seizures on your radar as a possibility to discuss with the vet! This has happened 3 times, to my 2yr old lab mix that I adopted in March. Definite pattern is seen — first the swallowing and gulping starts, then the licking everything along with snorting probably as she swallows air — then her tummy is upset (probably from the air?) — so she frantically eats grass. Her stomach looks all bloated (scary!). She will throw up at least once during episode. I will walk her and try to calm her down — she eventually calms down. She will puke up the grass overnight so I find the huge wad of grass in the morning. Other things: her eyes tear up, her mouth foams. As she begins to calm down, she’ll then triy to itch her eyes. The last two times, it happened a few hours after a thunder storm. (I can’t remember the weather the first time it happened). Might be triggered by stress. Might be triggered by her eating house plants or outdoor plants (have moved all house plants… so she only has access to outdoor plants now). I videotaped her and will be bringing that and the stories here to the vet. I’ll keep ya posted. HI Jason we have a Chesapeake bay retriever that is having these same symptoms. This weekend was the first that was major. Scared the heck out of me. Every time before was just mild gulping and licking. I am wondering if your dog also vomited up it’s food while this was happening. We haven’t fed her since we noticed the major symptoms and after her first time vomiting her food. Also we feed a raw food diet so not sure if you have heard anything about that. I am going to send this link to my vet and see if she may want to try this medicine for my dog. Hines absolutely would vomit during episodes. That’s what I meant by him being nauseous. There were times where he’d vomit several times throughout the episode, to the point that you could tell he was in pain trying to vomit on an empty stomach. For us it was a red herring because it made us think this was a digestive/gastro issue, so that’s what we treated for a long time. Our working hypothesis now is that the vomiting was actually a consequence of the real problem, which was the uncontrollable gulping. Swallowing that much air wreaked havoc on the poor guy’s tummy. For us, solving the gulping solved the rest. Obviously there are no guarantees that your dog is experiencing the same problem, but I’d definitely recommend consulting with your vet to find out! Wow. I am stunned to have found this info. My dog has been suffering from this exact thing for years. I’ve tried everything I can think of to help. He’s had stomach biopsies, a gastropexy, tried expensive diets, home cooked foods, etc. The vets think it’s heartburn, but the meds don’t help. My dog will go months without an issue and then have a long string of problems. I am wondering if it is possible to tell the seizure activity apart from post-nasal drip? It seems they could both have the same symptoms. I am asking, because my dog has NEVER had an episode when staying with friends while I travel. He also never had an issue prior to a move cross country. So it seems possible it could be an allergy. I’ve spent so many exhausted nights walking around the block for hours with my poor dog. I hate leaving him at home for fear he’ll have an attack and eat something that will damage him. Did you try claritin or benadryl before the seizure meds? Is your dog still doing well? So far he’s doing great. He has had a couple episodes since starting on the meds, but the last one was so long ago now I can’t even remember when it was, honestly. As far as allergy medication goes, we never had suspicion of allergy in Hines’s case, so we never went down that road. I can say that the intermittent nature of the issue you’re experiencing does ring bells — Hines would be totally fine… Until he wasn’t. And I can totally sympathize with the fear of leaving your dog alone. Until we found a successful treatment, we would always crate Hines while we were out, with his bed for comfort. We knew then that the worst thing he could get into if he had an episode was his bed. If he was actively having an episode and we absolutely had to leave for work, we put him in his crate with no bed. It felt cruel, but we knew that it was for his own good (heartbreaking as it was). Best of luck as you search for a solution. Please do update if you can about what works or doesn’t work for you, hopefully for the benefit of future readers. I did use Benadryl on Sahara with success for a while. I only gave it when I saw the gulping first coming on. It takes about an hour to work but it was effective for a while. I like you felt it was some sort of allergy with phlegm. I have since went to the neurologist and started Sahara on Keppra and zonisamide. I am thrilled to report that she has not had an episode since beginning the zonisamide 9 days ago. With Jason’s suggestion of mentioning this to her vets we are finally having a normal life again. Sahara celebrated her 8th birthday yesterday and we are expecting many more from her!! Good luck. In my opinion even if it is not a seizure and it is allergies then so be it. The meds have worked. So far! Funny I give Benadryl to my dogs who are reverse sneezing ( caused by reflux sometimes ). I have also given to my one dog who has done this just a few times – because he was trying to eat everything – Benadryl in an antiemetic (anti-nausea) medication as an off label use. I wonder if that is why it helped a little not an allergy at all? This most recent comment made me realize I failed to respond to your question about food. Hines eats Purina Pro Plan for Sensitive Stomachs. It has a salmon base. We tried transitioning him off of the sensitive stomach variety at one point because it is more expensive even than some of the other Pro Plan foods. Within a couple days of the transition he had an episode, so we went back to the sensitive stomach formula — it may have been coincidence, but we don’t want to chance it! So sorry that things still seem to be pretty rough with your pup. Best wishes and fingers crossed that you find some way to make her feel better. First off I want to say thank you for posting this. No vet has been able to answer us as to what is wrong with our dog. I have a couple questions for you. This first occurred to our dog about a year ago and she got very bloated but when we got to the vet she was not exhibiting the behavior any longer. We were afraid it was bloat but the vet verified she was very healthy. She had another bout a few months ago and pepcid and sleep seemed to calm her down. She has now been doing this for four days. A bit here and there, but doesn’t really seem to bothered by it. Occasionally it escalates into a cough or a hack but like you said that the seizures are causing all the gastro stuff. I was just curious if this sounded familiar? The increase over time, the occasional help with pepcid, the symptoms going away when the dog was in another environment? I just don’t know whether to think in my particular case it is neurological or something gastrointestinal. That does all sound pretty familiar. When I first got Hines it was probably a month and a half before he had any sort of episode, then it felt like they gradually grew more frequent. Eventually they were spaced about two weeks apart. We tried a host of various remedies, from a daily anti-nausea prescription, to prescription food, to Gas-X to Prilosec. With each treatment, it did feel like things would “get better” (though perhaps that was wishful thinking) for a short period of time, then very rapidly deteriorate back to the 2-week cycle. If Hines’s story and video remind you at all of your struggles, I’d recommend sharing the post with your vet and asking whether they’d be willing to just try a Zonisamide treatment. It sounds in all these comments like a few folks have been able to find some success that way. While there are some potential side effects to the drug (loss of appetite being the one I’ve heard most), they don’t seem to be severe, and they seem to be far less problematic than the gulping behavior! I’m sure your vet can weigh if there are any other potential risks. Best of luck, and please do feel free to comment back if/when you find your remedy for the benefit of everyone reading in the future! Your story mirrors what was happening with our dog. Before we had her on phenobarbital, we would sometimes be able to get rid of those lingering symptoms with the following: pepto bismol tablets, a couple of Pepcid complete, 2 phazyme gas tablets, and a couple chewable DGL tablets (found at Vitamin Shoppe, make sure they aren’t sugarless). We also give reglan/metoclopramide before meals (prescription from vet). If she got too excited or worked up, the symptoms would return, though. She had “bloated” multiple times; so many times that when they did abdominal surgery, her spleen had to be removed and she had pancreatitis – can’t help but wonder if the organs were damaged due to all of the bloating episodes. Since being on the pheno, she can get worked up and play and go for 3 mile hikes without us worrying that it will trigger an episode. She has had 2 mini episodes but the symptoms went away with all of the stomach meds listed above plus the anti-anxiety med (trazadone) we are to give her when signs of an episode occur. Good luck! You mentioned the over the counter drugs you gave your dog. How much of each and did you give them all at once? How big is your dog? My dog Sahara has exactly what Hines has. She stated this 5 years ago. Fortunately, 3 years a go we tried acupuncture and she stabilized. Now it is back and we are trying Keppra. She seems to be responding well but then it starts again. It can be so frustrating Dr want,s her on hypoallergenic diet but I am resistant as I feel that the May not be a food issue at all. Today was a bad day for her and I don’t know what to do for her during these episodes. Any thoughts? That sounds real tough, and I totally sympathize with you. My first and primary response would be to investigate whether Zonisamide might be a viable treatment option for Sahara. It’s what did it for Hines, and I’m starting to hear anecdotal feedback from these comments that some others are finding success with it as well. If you’re looking only for advice on what might ease her suffering mid-episode, I’m afraid I’m of limited help. We used to stay with Hines and hold his head up to prevent him from devouring things he shouldn’t. That was for his own safety, as he was liable to eat things that could do serious harm. If we ever had to leave while he was bad, we’d have to put him in his crate without a bed (so he wouldn’t eat it). It was heart-breaking, but for his own good. Others on this thread have shared that things like car rides can have a soothing effect, so depending on Sahara’s thoughts on cars, maybe that’s worth a try. I wish I could be more helpful! If you find something that works for you, please do stop back here and share for the benefit of the group and any future readers! Ran the Zonismide past my vet and he added it to Sahara’s Keppra. We started last Thursday evening. She is doing much better now. 3 days and no episodes. Today I decided to take her to her obedience class. I left her in the car for a minute to check on the class (with engine and ac running) and when I came back she was gulping slightly. Being in the car waiting for me is something she is used to btw. She is a retired show dog so nothing out of the ordinary for her. I just put her leash on and after a few steps she was fine. Did training and she did great. After coming back home and relaxing I noticed a few more gulps and cries. Lasted only a few seconds and she was fine. Not sure if the excitement or stress of training caused the reaction but overall I think it is a victory!! Thanks for the suggestion. If she does well for the next few weeks the plan will be to cut back on the Keppra. Sure would be nice. Vet also wants her on hypoallergenic diet for a few weeks to elimate the possibly. He was happy with my choice of raw diet consisting of white fish. Thanks again. Sounds promising. Hines and I will keep our fingers and paws crossed that it all turns out for the best! Well we made it 12 days and she had a minor episode today. Gulping, crying and she threw up. The vet told me if she has an episode to give her an extra dose of Keppra so I did. She is sleeping now. Did Hines have episodes in the beginning stages of taking the meds? I was so excited for Sahara and now so disappointed. Hoping she sleeps through the night and feels good tomorrow. Vet appointment on Thursday. We didn’t have any episodes quite so soon after he started taking meds. He has had a couple since going on Zonisamide, but extremely infrequently. We have to constantly remind ourselves that he isn’t cured, he’s just being treated. Personally, I’d give it a little time to see if maybe with more time to let the meds build up in her system things might settle down with Sahara. It may also be worth talking to your vet about whether she is getting the right dosing. When our vet started Hines, she specifically told us that she was starting him at a particular dosage, but there was room to go up if it wasn’t quite doing the trick. We didn’t have to go up, but maybe that’s an avenue you could explore. Best wishes, and keep us posted. Thank you so much for all of the information. I have a one year old golden retriever. The gulping, throwing up, eating grass started a few weeks ago. We have been to the emergency vet once and our regular vet twice. We already know that she is an “anxious” dog. We had people over to our house yesterday and could tell that she was nervous. The grass eating started almost immediately. The gulping this morning after her breakfast. I will read the posts again and discuss with my vet. Let us know how you fare, and if this is another case of seizures after all, or something else! I’m back with a happy report – my dog has been on zonisamide for a month and not one awful seizure. I guess I should back up and tell you how I expedited the diagnosis. I showed my vet your article and video as well as a video of my dog going through the same thing and voila – partial complex seizure diagnosis. My vet put him on a high dose of zonisamide for the first 3 weeks and then lowered it. Zonisamide did make him nauseous and sleepy at first but now he seems well adjusted to it and is a much happier dog! Thanks again for taking the time to blog about your experience. You certainly helped both me and my dog (huge sigh of relief). Hi Catherine, that’s so wonderful to hear! It really is life changing to get your pet into a stable, healthy place. Best of luck moving ahead — I hope this is the start of many happy, healthy years! I just read on another site (where they call it “lick fits”), that if caught very early 4-5 saltines and a gas-x can help – only if caught early. I’m sure the quantity depends on dog size, but it’s worth trying to reduce severity, right? I’ll try unsalted saltines (soda crackers). I’m going to ask our vet about the anti-seizure med as well. Our pup is having these episodes about every two weeks as well. We had an episode today…lasted about 1.5 hours. Gave him gas x, Pepcid and a Rx pill Cerenia for nausea after I saw it was going to last. After 25 mins decided to put him in car to distract him, then for a walk. Eventually calmed down, but it’s hard to watch. I also may try 3-4 meals a day instead of two. I think an empty stomach could contribute – maybe, but I’m still experimenting. Thanks for your blog – very helpful! I wish we could get a vet school/hospital interested in this subject! Not a bad idea to try tweeting this at a few veterinary schools. It would really be great if vets could start diagnosing this before people had to turn to Google for answers! Incredibly helpful! Our pup is doing this as well. How long did it take for the medicine to start working? As far as we were able to tell, things started working almost immediately. He was having episodes on about a two-week cycle, and once we got him on the meds it was months before we saw another one. I think it is the kind of medicine that technically needs to build up in the system to be fully effective, but I’m sure a vet could tell you more! Thanks for sharing this experience. I have been trying to figure out what has caused my Golden Doodle (now 6) to have this exact same issue for over 5 years now. I will add that switching him to a grain-free, limited ingredient diet of fish and sweet potatoes has helped TREMENDOUSLY. It seems like simply upgrading the quality of his diet made these episodes drop from maybe twice monthly, to 3 or 4 times a year. Does anyone know if Zonisamide can be given as needed? As in, once he begins showing symptoms of having an episode, can I give him a dose to make it stop, rather than keeping it in his system 365 days a year, for the 3 to 4 days he’ll actually have an episode? Thanks for sharing. We’ve noticed that a good diet does seem to play a role for Hines as well. Once we started on Zonisamide, we moved from a very expensive prescription diet to a top-line sensitive stomach diet from a regular store. That transition went well. However, after a few months we tried to move Hines away from the sensitive stomach food (made with salmon and stinky to high heaven) to something of the same brand, but not quite as smelly. Within only a couple days Hines had his first episode in months, so we went back to the sensitive stomach food. Regarding whether Zonisamide can be taken as needed: I don’t for for certain, because I’ve never looked into it, but given the way the vet has talked about it with us, I do not think that is how it can be used. I’d check with a vet though to know for certain. Do you mind me asking what diet you switched to? We’re on canine I/d gastro. Maybe it is something we can consider. Right now Hines is eating Purina Pro Plan Select Adult Sensitive Skin & Stomach Formula. It says salmon is the first ingredient. It smells pretty bad, but I’ll take stinky breath over the episodes any day of the week! Jason, we just stumbled across this blog. For almost 2 years we have had the same gulping attacks happen in our 2.5 year old golden retriever, Josie. The gulping starts suddenly and results in bloating, reflux-sounds, burping/gulping of air, and the repeated swallowing. She voraciously tries to eat anything she can find when she’s in the middle of an episode. We have learned a few tricks to shorten the episodes including giving her reflux meds, pepto, DGL (holistic stomach soother), and an anti-anxiety/sedative med; we also do things around the house to force her to pay attention to us (as opposed to sitting there worrying about herself). Josie had exploratory surgery and IBD was ruled-out. They found that there was damage to her spleen (possibly from the repeated bloating incidents) and her PLI blood work showed pancreatitis. She’s on a prescription low-fat food, and reflux and stomach meds, and just had an episode an hour ago. [Recent pancreatitis bloodwork came back showing normal values.] The vet hospital suggested focal seizures, and so we started potassium bromide; unfortunately after a dosage increase we believe it irritated her stomach (which was previously ulcerated due to her PICA episodes). We have a prescription for phenobarbital waiting for us at the pharmacy; we are so hesitant about it, but really need to find out if she is having focal seizures, and this seems like the only way. Your story gives us hope that maybe these episodes can be controlled. Can we ask why you and your vet chose Zonisamide, rather than pheno or potassium bromide? Are you giving any medications for acid reflux? Do you notice any triggers to your dog’s episodes (excitement, tiredness, relaxation, eating, longer walks, anxiety, impending storms, etc)? Thanks again for starting this blog. Wow, it sounds like you’ve had a really rough time coping with these issues. I’ll reiterate that I’m not a veterinary expert, but I can share the conversation I shared with my vet to help inform your conversations with your own vet. When we decided that we wanted to try to treat these episodes as seizures, our vet explained that traditional anti-seizure medications like phenobarbital can have some very nasty side effects. In fact, they sounded so incredibly nasty that I likely would not have put Hines on the drug if it was the only option. She explained that Zonisamide (zonegram) is a newer anti-seizure medication that’s been used in humans successfully for a few years, and that was just opening up to to veterinary use (this was over a year ago) as the cost was starting to fall. She explained that like any drug, there were still potential side effects. The one that sticks in my mind was potential loss of appetite, which seemed like the most serious for us, as Hines was having a hard time keeping weight on with all his issues. The risk in that case seemed worth it, and we went for it. Hines now gets a pill 2x per day, and his episodes have been dramatically reduced in frequency and magnitude. As far as we’ve been able to tell, there haven’t been any significant side effects. All that said, I’d definitely encourage you to have a serious chat with your vet about whether this is a viable option for your pet, and potentially even get another opinion if you don’t come out of that conversation confident about the course of action you’ve settled on. As I tell everyone, please do stop back and update us on your progress and treatment if you can, so that future readers can benefit from the collected stories of our experiences. Best of luck to you and Josie. We think Josie has a sensitive stomach also. May I ask what sensitive stomach food you’re having luck with? There are so many options. We are also considering home-cooked, although that seems so easy to mess up. Currently Josie is on a low-fat prescription food for pancreatitis, but recent bloodwork indicates that the pancreatitis has resolved. I guess we are looking for something for sensitive stomachs that is also low in fat. Any ideas are appreciated! Thank you SO very much for taking the time to write this post Jason. My dear dog went through something similar 2 nights ago. First the gulping, then the random attempts to eat just about anything. I turned my back on him for 30 seconds and he had partly consumed a lace drapery panel. I had to pull it out of his mouth and esophagus. I ended up driving him to the ER and they diagnosed him with a very irritated esophagus (which is probably the result of having a lace drapery pulled out of it…) and gave me prilosec and sucralfate. I forwarded your article to my vet and am sharing it on YouTube and Reddit. Thanks again. Sure thing, Catherine! It was such a terrible thing to cope with in the moment, and clearly so poorly understood and diagnosed, that I was hoping we could help a few folks out! Please do feel free to come back here and update us on your progress. If yours winds up being some other issue, it would be great to show folks what some other possible diagnoses are. Thanks, and I’m happy to share our experience here. Our dog first had sudden onset of gulping in December at around 9mo of age. Exactly like in your video and with all of the gi side effects. Gulping for a few hours in this initial episode. Repeated, less severe episodes continued over the next few days. About a week later they eventually stopped. We also treated as gi upset at first and went to the specialty vets. Ended up putting him on prescription diet I/d in case of food allergy. He had a relapse this week, about two months since the last sequence. Same sequence: bad initial onset, repeated episodes over the next few days. Thanks to your blog, we started exploring the seizure possibility. A neuro vet recommended we try Keppra. We have done that for the last few days but the episodes continue after about 36 hours on the drug. Gas-x (simethicone) to help with the bloating, seemed to relieve and prevent it a little. Car rides! These seem to distract him and settle him down. By far our best treatment. Usually 15-30 minutes and he will settle down. You answered my question about alternative drugs you might have tried. Do you need to get blood levels check with the zonisamide? How big is your dog and what is the dose? Thanks again, it’s a big relief to find someone with similar experience. That all sounds really familiar. Before we landed on a neurological treatment, we were treating episodes with Gas-x and Prilosec, and trying to prevent them by putting Hines on a prescription (read: very expensive) food. Each of those seemed to result in a limited improvement, like increasing the time between episodes. With time however, things would return to normal (for us the cycle was about two weeks). Hines is a 43 pound (just had him to the vet Friday!) mixed-breed. As a shelter rescue we have no way of knowing his ancestry, but there is likely some lab, some German shepherd, and some of something smaller. His current treatment is 100 mg of Zonisamide every 12 hours. Since he’s started this treatment, his episodes have been reduced from recurring every two weeks to recurring about twice a year — a drastic improvement. The episodes do also seem to be shorter in duration when they hit — instead of 24-48 hours, they seem to last 3-6 hours. We didn’t ever have the same kind of “aftershocks” that you describe, but rather had intense and continuous bouts for the 48-hour period, followed by things just suddenly getting better. We were actually just informed this week that the cost of Zonisamide through veterinary channels has unfortunately increased significantly (it was costing us about 24 dollars per month, previously). As a result, our vet will actually be writing us a prescription to fill at a human pharmacy, as that is likely to keep the cost down. We haven’t had to refill in this manner yet, so I don’t know what the final damages will be. Best of luck to you. Please do feel free to update here on your progress in treatment. Hines and I are pulling for you guys! We had our dog evaluated by veterinary neurologists and they definitely think it is seizure activity. They’ve started him on Zonisamide, loading for 3 days at 300mg 2x/day, and moving to a regular dose of 150mg 2x/day. This sounds like the right proportion for his weight, 62lbs, compared to Hines. I’ll be sure to keep this thread updated. I’ll keep my fingers crossed that things start looking up for you and your pup! Jason, my dog has very similar issues and we are starting to explore neurological treatment. Can you contact me? I have a few questions about the treatments you explored. Thanks so much. Sorry to hear that — I know how exhausting it can be to cope with. Happy to answer any questions you might have. I’m afraid our exploration of neurological treatments isn’t really any deeper than getting him onto Zonisamide twice a day. That was our first attempt at a neurological treatment, and with that working we haven’t gone down any other roads! What are your specific questions? As much as possible, I’d love to address them in this comments section so others might benefit from the conversation. How did you get the seizure diagnosis? Was it through a specialist or a regular vet? I’m having identical symptoms in my dog but my vet is convinced it is a GI issue (despite every test coming back normal for that). Did you have an MRI done on your dog? My vet refuses to prescribe Zonisamide without one. Boy, that’s a tough situation to be in, as I don’t imagine an MRI comes cheap. In some sense we lucked out. After a year of unsuccessful treatment of the situation as a GI issue, our vet was beginning to recommend that we take Hines to the veterinary school at Cornell University for more GI tests. Assuming that would cost me an arm and a leg, we launched an all-out social media and Google investigatory effort. That was how we found a few other videos of dogs with the same problems, and got some feedback from folks that it could be neurological — something we’d never considered. When we took that information back to our regular vet, she was willing to try Hines on Zonisamide. The potential side-effects sounded relatively minor to everyone involved (we actually haven’t seen any since we started, as it turns out), so we gave it a shot. My best advice would be to actually send the vet a few videos of dogs doing the same thing with testimonials (like this one!) that neurological treatment was a solution. If he/she won’t sway on the MRI requirement, it may be worth consulting another vet. I won’t say that Zonisamide is definitely your solution, and your vet is obviously more aware of the risks than I am (maybe it holds greater risk for your dog’s breed?). I am in no way a veterinary expert, but it would seem maybe a second opinion could help in your situation. FYI did not get the MRI or Spinal Tap and finally found a neurologist that prescribed the potassium bromide! Thanks again!! Seizure free for 1 1/2 years! If your vet refuses to prescribe Zonisamide without an MRI, it’s time to find another vet. Julie, I’ll have my fingers crossed that you’ve in fact identified the issue! With Hines we never noticed any foaming unless he had swallowed something that didn’t agree with him. That doesn’t mean this couldn’t be the same issue however, as your chihuahua and Hines are definitely very different dogs! Best of luck, and feel free to come back and comment again with the results of your investigation. Hey! I have a chihuahua doing the same thing, foam and all! Started about 4 days ago and the gagging, licking episodes seem to happen mostly at night. He threw up once on the first day he started all of this but that’s it. Was it the seizures for your chi? Please help!! I’m so worried. no one ever replied? How is your dog doing? Mine is suffering from this terribly at the moment. Hines is doing well on his medication. He still has occasional episodes, but they are significantly less frequent and less intense. I’m sorry to hear that your dog is suffering. I encourage you to reach out to your vet with the idea that perhaps it is seizure-related. The conversations in this thread are evidence that many vets are overlooking these issues.